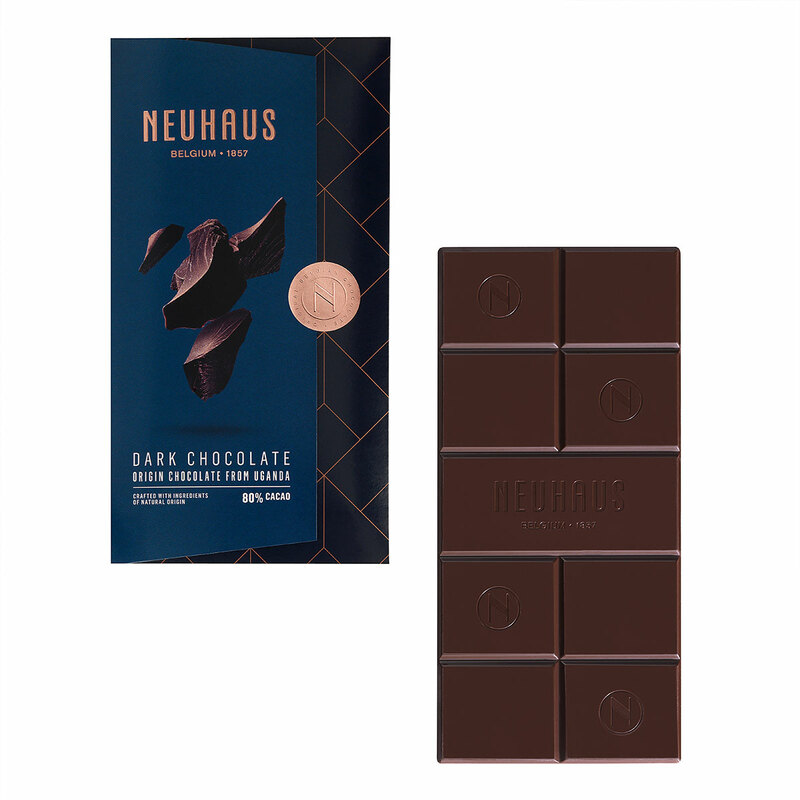 This wonderful gift hamper features delicious Neuhaus Belgian chocolate presented with a small bottle of AR Lenoble Champagne to toast to all special occasions in your life. 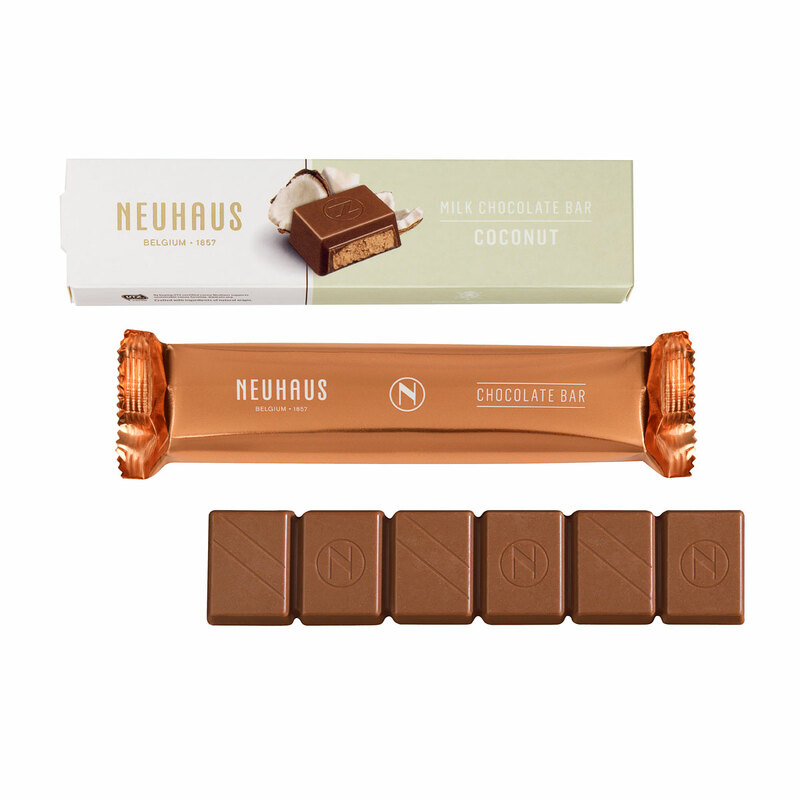 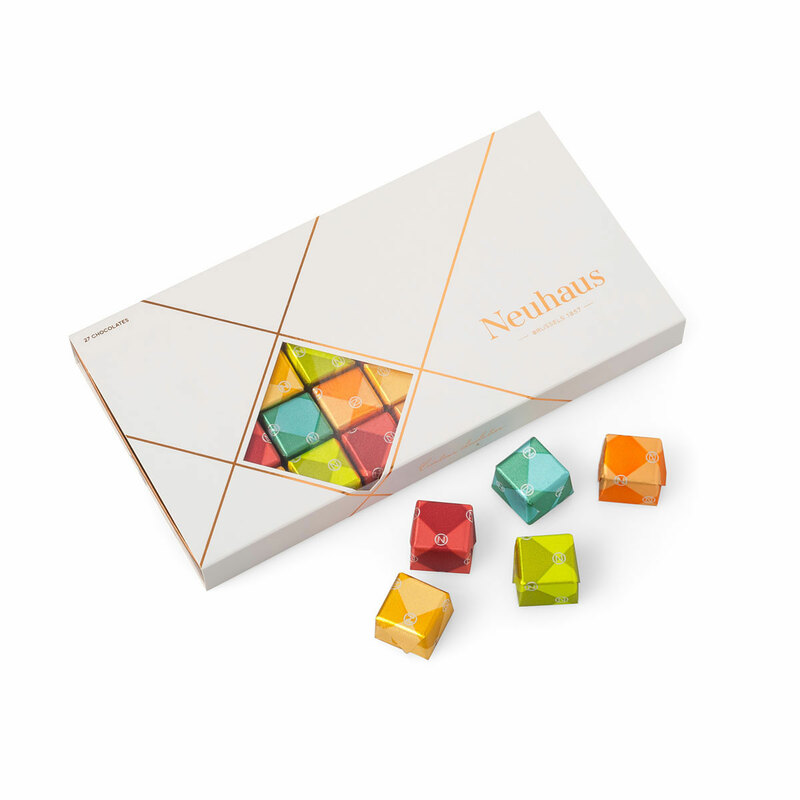 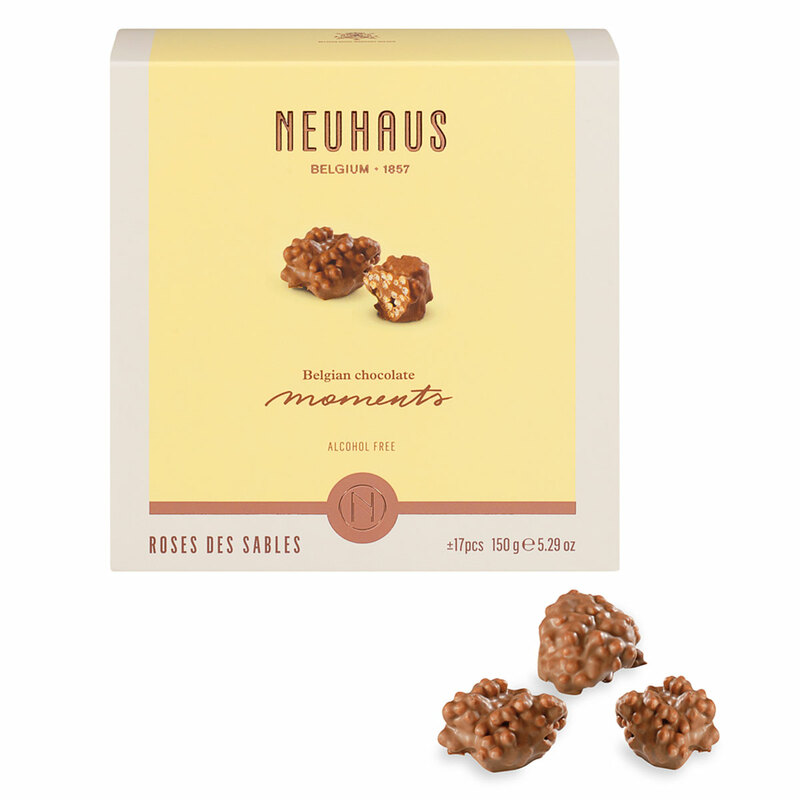 The collection of Neuhaus includes a well-rounded assortment of their favorites displayed in an elegant leather style hamper: festive BonBons, crunchy Rose des Sables, a scrumptious dark chocolate tablet, and a milk chocolate bar with coconut. 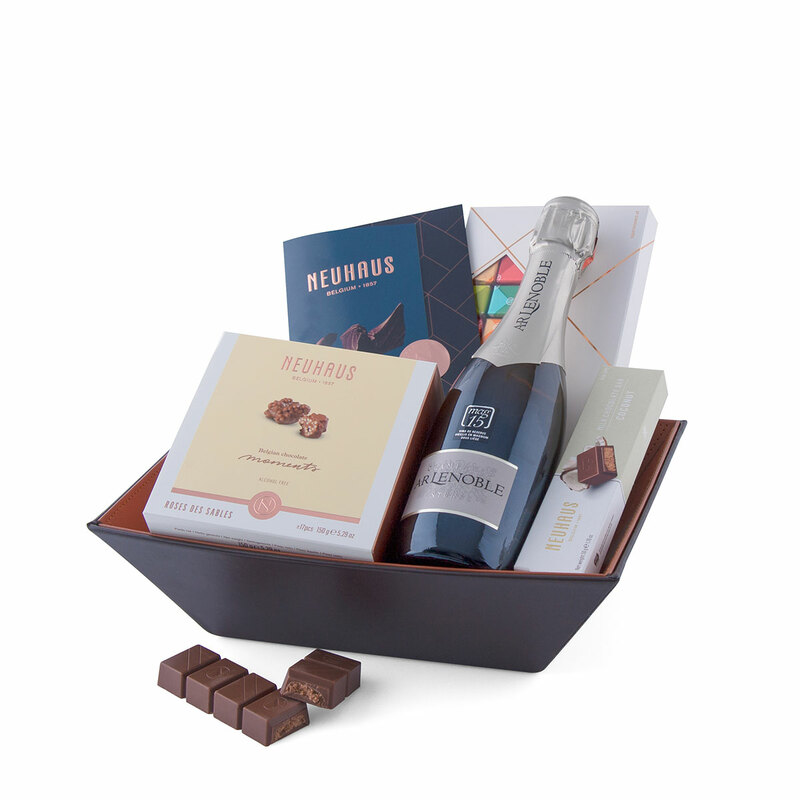 AR Lenoble Champagne is a well balanced and fruity classic Champagne created from a very harmonious blend of Chardonnay, Pinot Noir, and Pinot Meunier grapes from only the very best hillsides in the Epernay region of France. 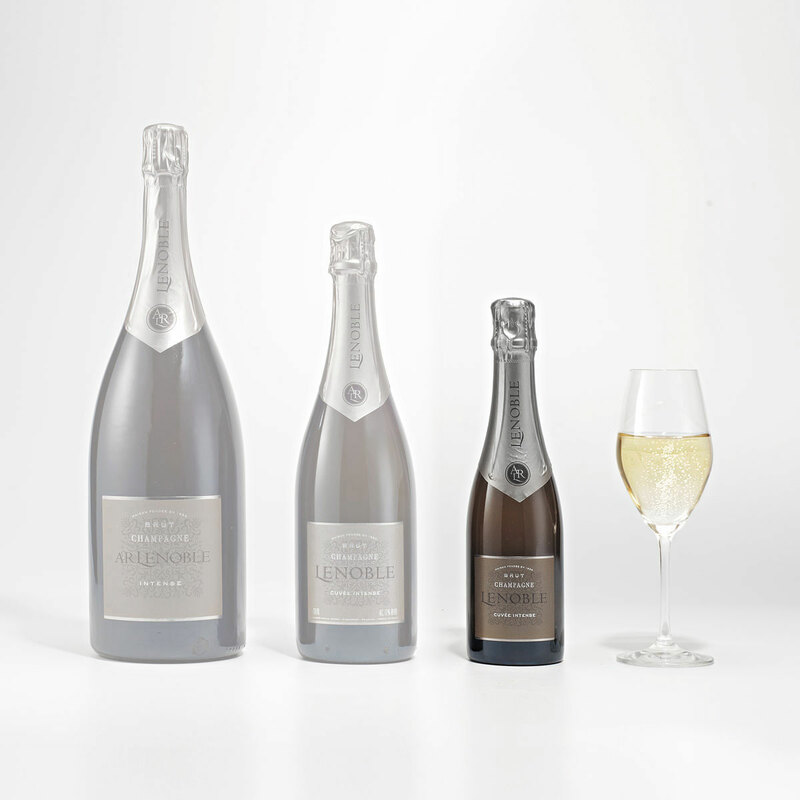 The 37.5 cl half bottle is the perfect size for sharing a glass of bubbly with a friend on Christmas or New Year's Eve.